19 Ways to Beat the Monday (Or Any Work Day) Blues. With recipes! I was feeling especially somber about the weekend being over this morning, so instead of pouting into my matcha mug and grumbling through the day I decided to make a list of my favorite ways to power through a tough work day - with some energy and motivation in my mood. And of course like any good blogger, I decided to pass on my Monday (or any work day) mood-lifting-spiration to you. #MondayMotivation. 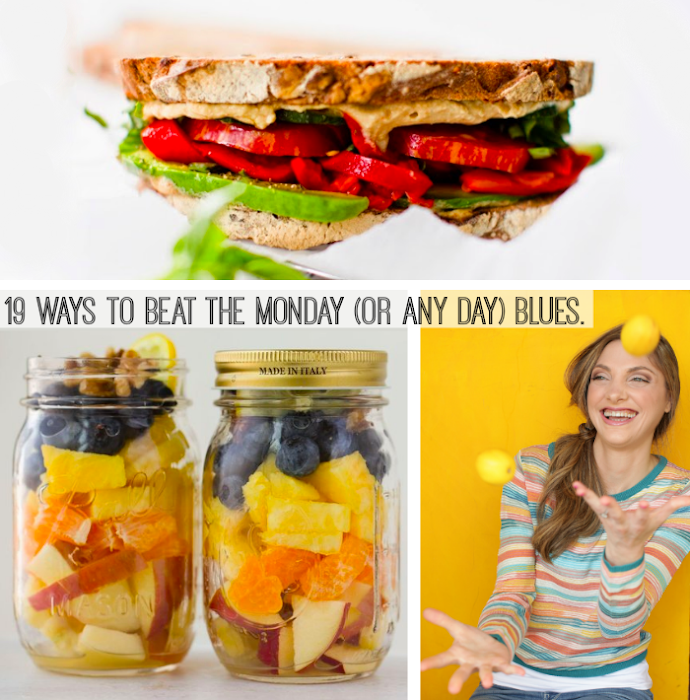 Here are 19 Plant-Based Ways to Beat the Monday Blues..
How-to: Pick one, two, three or ten of these things to do today to perk up your mood, mind, body and spirit. Mondays can be something to embrace when you show yourself that you know how to induce self-care when needed. You have the power to beat the blues, cheer yourself up and choose to be happy...even on a Monday. 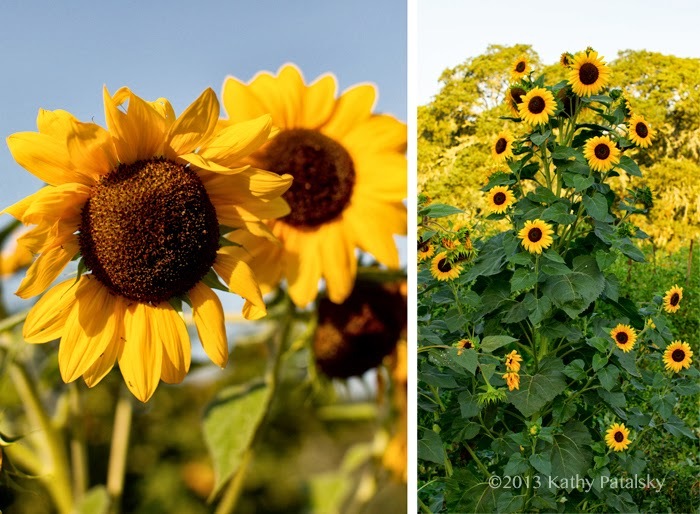 "My state of happiness is a direct reflection of what I do to nurture my own happiness." - love this quote, based on an article by my friend Liza Utter. My favorite way to perk up any work day, especially a Monday, is by whipping up a frothy, warming, Zenergizing matcha green tea latte. My go-to recipe + matcha tips. 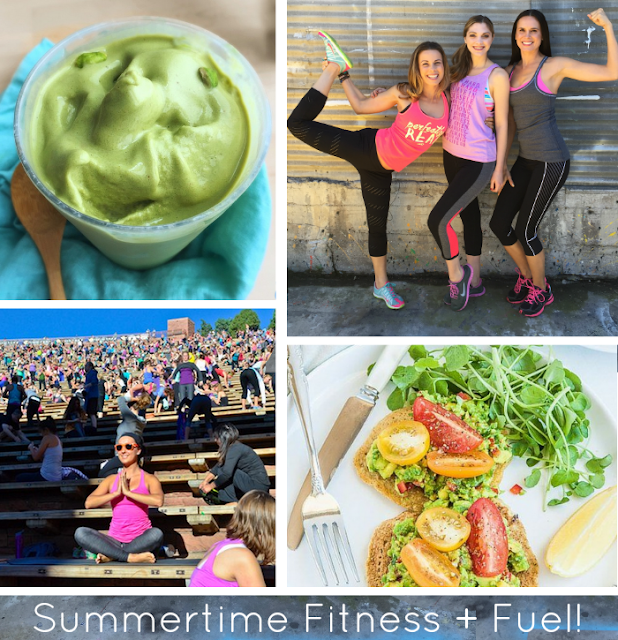 Plus learn all about matcha from an expert here! I use Encha matcha because it is organic, an amazing value and perfect quality - my matcha buying guide here. Imagine yourself walking into one of those fancy bath and body care shops. Your senses are overloaded with aromas. In one corner of the store everything is citrus. Grapefruit, lemon, orange. 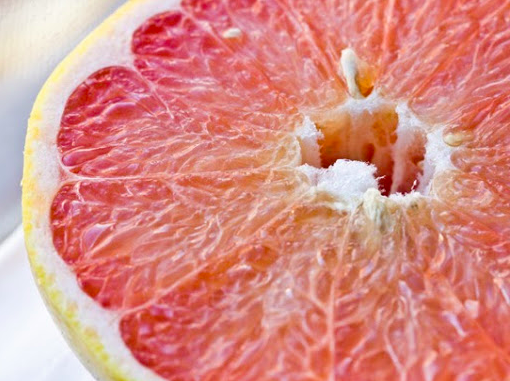 Citrus scents are described to uplift, energize and awaken you. Well cut out the middle man and go right to the source. The thing you usually toss after eating some citrus fruit. The peel! 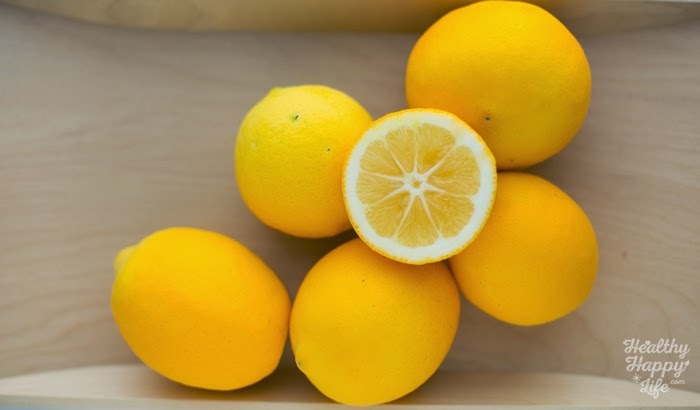 Dive a fork (or your fingernail) right into the peel of some citrus and scrape up that peel, lift it up to your nose and inhale deeply a few times. Smell that? Pure essential oil goodness. Keep the peel by your desk and take a whiff whenever you feel a yawn coming on. This also works with other fruit like apple, berries and more. Their fragrant aromas can help awaken you from the inside out. But I will admit that citrus is the best. And if a co-worker asks you why you have a citrus rind on your desk just ask them to take a big inhale and they will understand. 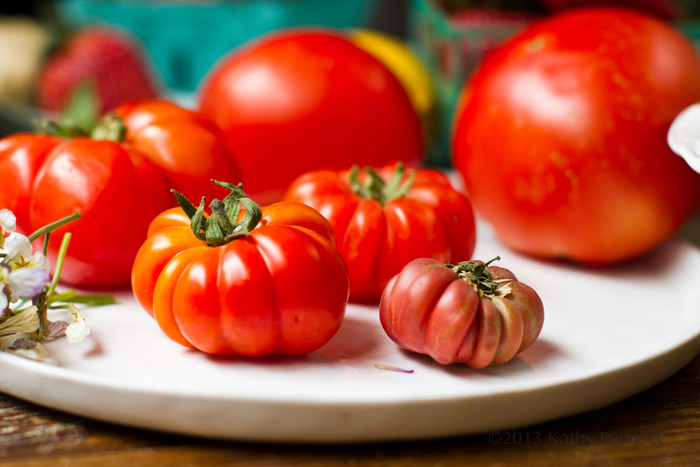 Bonus... veggies work too because I am a firm believer in the power of beautiful produce..
3. Turn on the Tunes. If you are in an office setting, this may require a little group effort, and a job that allows musical interludes. But for me, as I type and photograph, cook and edit, music can really set the mood and pace of my work. I will share a little secret about my favorite work music: movie scores. But more accurately, the movie scores. The instrumental music that accompanies the movie scenes. Obsessed. Really. I love it for "work music" because it has no lyrics to get stuck in my head or verbally distract me, and the music truly is made to be "background music for life." Or really, movies. A few of my fave movies that have the best scores: Titanic (the best), all the Pirates of the Caribbean films, the Twilight films (New Moon is probably my favorite), classic 80's films like Indiana Jones, Back to the Future, Batman and even Jurassic Park, A Beautiful Mind, Inception, Iron Man, Lord of the Rings and Harry Potter movies too. And you do not have to love the movie to love the music.. So whatever music uplifts your soul and allows you to work with lifted eyebrows and a positive vibe, turn on that. Looking forward to your lunch break is a great way to put a happy spin on Monday - or any work day. 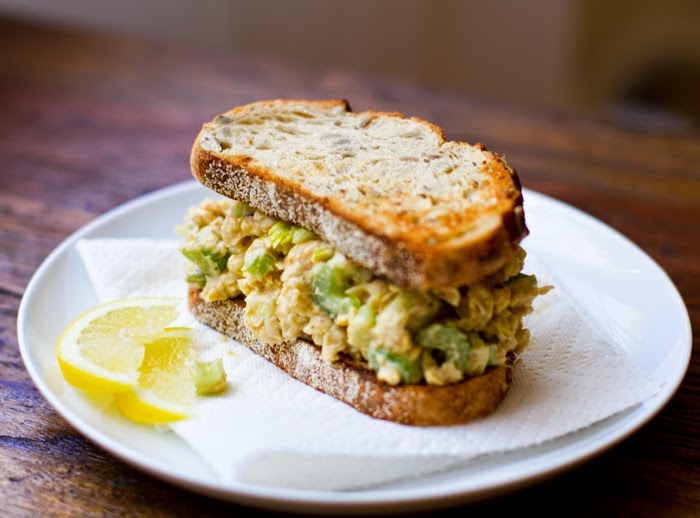 One of my fave sandwiches for a perky mood is this Seven Layer Sandwich. 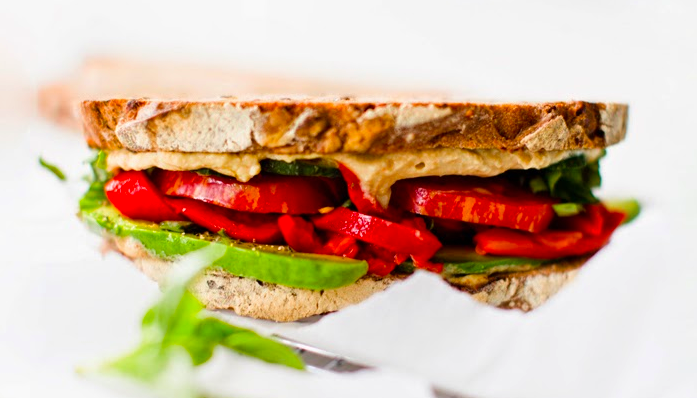 It uses loads of flavorful veggies and toppings as well as some rich and creamy garlic hummus. SO good. Get the recipe. Take a few minutes to google your top three places on your travel list. Print out a pic, pin it on your "travel pinterest board" or write down your dream destination on a post it note and stick it to your wall. Dreaming about the other places you might possibly be on an upcoming Monday, will leave you feeling a bit less trapped in the Monday you are currently swimming through. Some of my dream destinations both far-fetched (literally) and more probable: Sedona Arizona, London, Iceland, Cabo, Northern Ireland, Brussels, re-visit to Paris, Italy and Hawaii, Australia, Japan matcha fields, Coastal Washington near Seattle, Norway, Antartica to see the penguins, South of France... ok you get the picture. And if you cannot daydream about travel, read a few blogs to get you inspired. 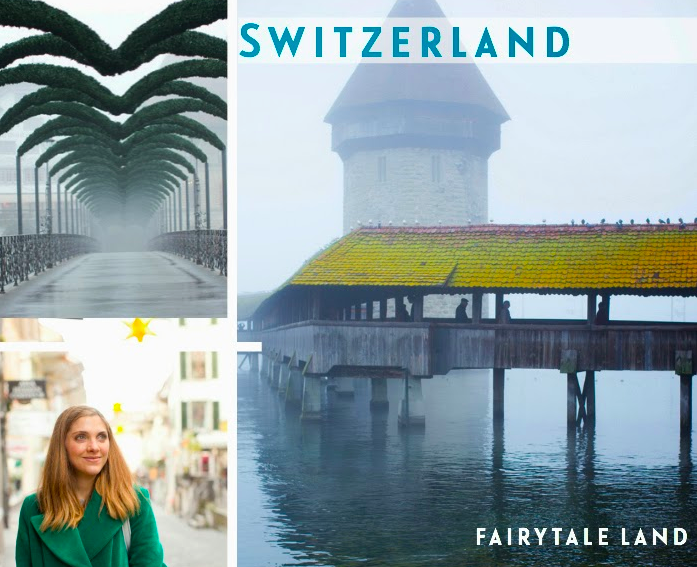 My time in Fairytale Switzerland, or check out the Fairytale Traveler or my friend Amanda who ALWAYS has amazing travel blog posts on Kevin and Amanda. And VeganMiam for amazing travel + vegan food posts! 6. Browse Desserts on Finding Vegan. OK, so this is a silly one, but seriously, browsing desserts is just plain fun. Caramel rippled ice cream, chocolate brownies, chewy cookies stacked in towers, luscious berry pie and banana ice cream galore. 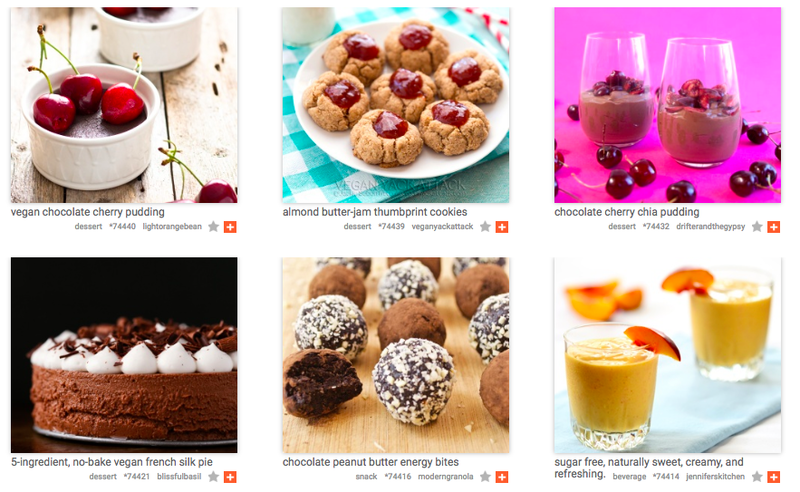 Browse vegan desserts and feel all day-dreamy. Other ways to browse on FV: Our iphone App, facebook/findingvegan or follow us on Instagram/FindingVegan. Also check out the new discussion-infused Finding Vegan Community! 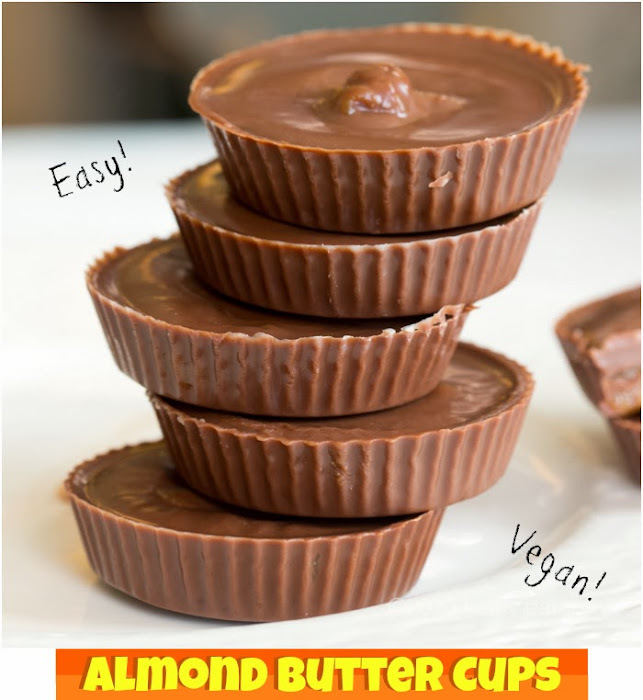 And if you now need a super fast + amazing dessert... peanut or almond butter cups. 7. Got the Sedentary Blues? Energy Flow Break. I am not going to call this "take an exercise break." because I know many of us are so busy with back-to-work things that working out falls at the bottom of your list. BUT, taking a two minute energy flow break every hour is a great way to perk up your body without interfering with your busy day. A few energy flow break activities: jumping jacks followed by deep breath plié's. Or a quick stroll around the office and back - hopefully outside to catch a few minutes of sun rays. If you are at home, or have access to a soft floor, do five minutes of yoga stretches. If you have hand weights, do some arm lifts for two minutes. Then the next hour do two minutes of lunges or squats. This isn't about a long winded workout, but rather a way to get blood flowing through your body - to your muscles - increasing heart rate just a bit. You'd be surprised what a two minute energy flow break can do for your work day. Go on, take that break NOW, and come back to #8 in two minutes. Take some fitness or "energy flow break" tips from bloggers..
Stop staring at your screen and take a few minutes to start up a conversation with a real, live human. I know you love your iPhone, but people are far more interesting and, well, unpredictable. So take a few minutes to call you mom, call a friend, ask a co-worker to take a stroll or coffee or matcha or tea or smoothie break with you - or just call it a fresh air break. If you are having some seriously high anxiety emotions on this Monday, use your human friend (or relative) to help you work through those thoughts. Just make sure you have someone who doesn't mind being your therapist for a few minutes. And healthy, feel-good smoothies pair well with chat breaks, fyi..
Sophie and I sipping some of her yummy Philosophie smoothies after a video sesh last year.. 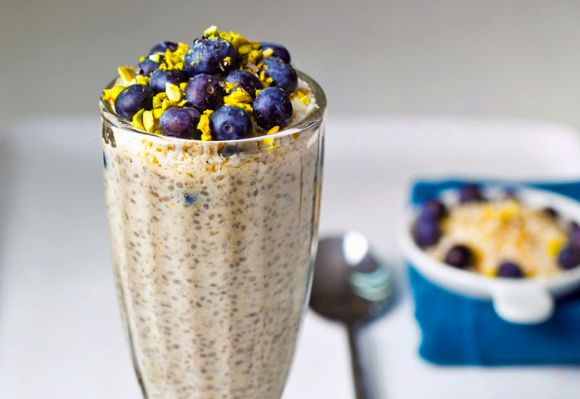 This smoothie always perks me up and is a great Monday sip. 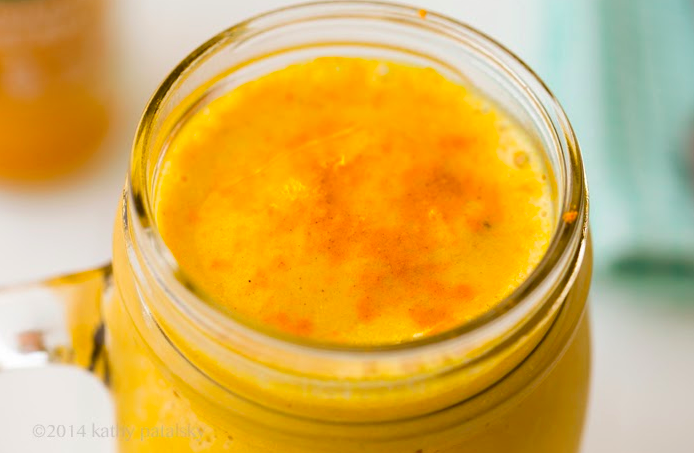 Citrus, spices, turmeric and more. Golden Wellness all the way. This is a must! Start off your week with plants and give your body and soul a bit of sparkle. 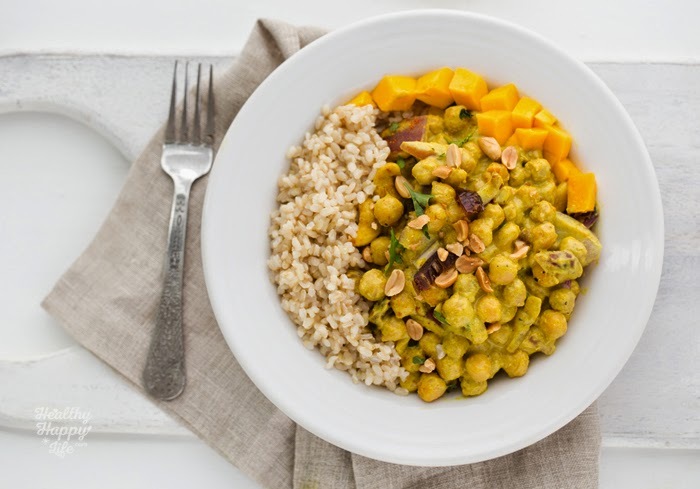 Not only will plant-based meals be infused with antioxidants, fiber, beautiful colors, plant-based protein and flavor, but you will be eating with animal kindness in mind. 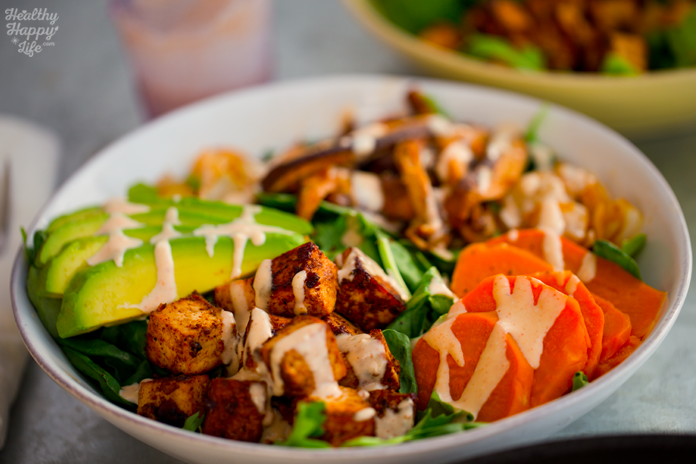 Give my Tofu Chipotle Bowl a whirl. 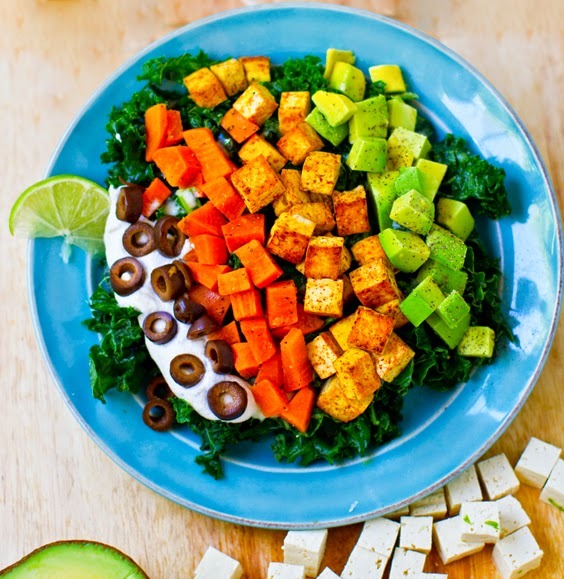 Or try any of the recipes from my book Healthy Happy Vegan Kitchen. 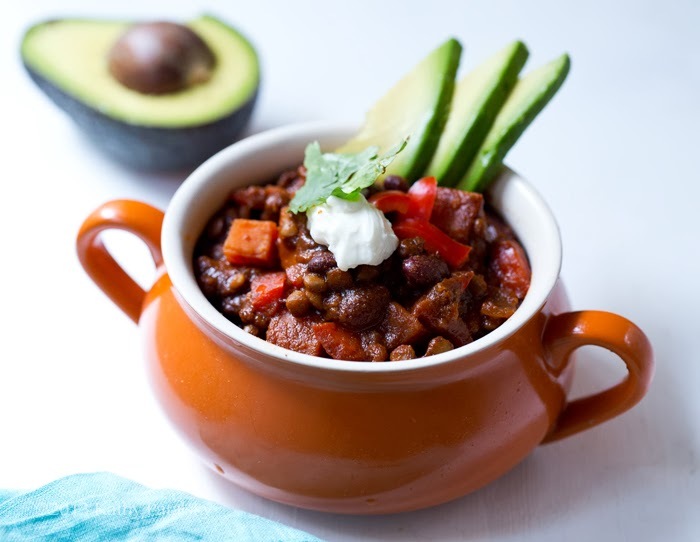 And this sweet potato chili as a speedy, go-to comfort food dinner..
And this amazing peanut-curried chickpea meal.. In need of some sweet satisfaction on this somber work day? 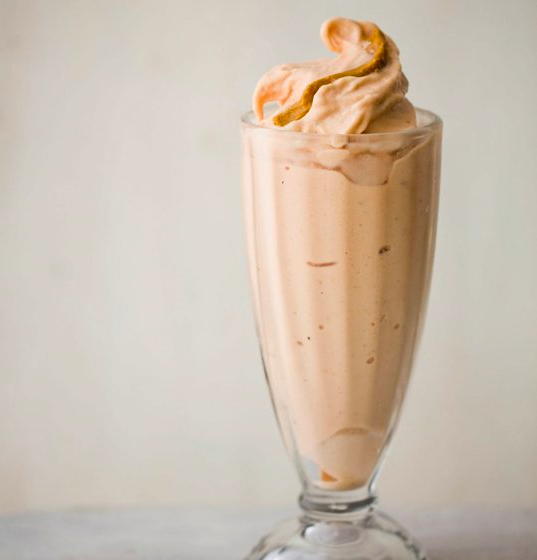 Banana blender ice cream. I love the creativity that can be involved in blender ice cream recipes - and the flavor is just as delicious as traditional ice cream in my personal view. Loaded with fiber, fruit, flavor and usually super low in fat (if you use bananas as the main ingredient) banana ice cream is a mood-perking recipe winner. 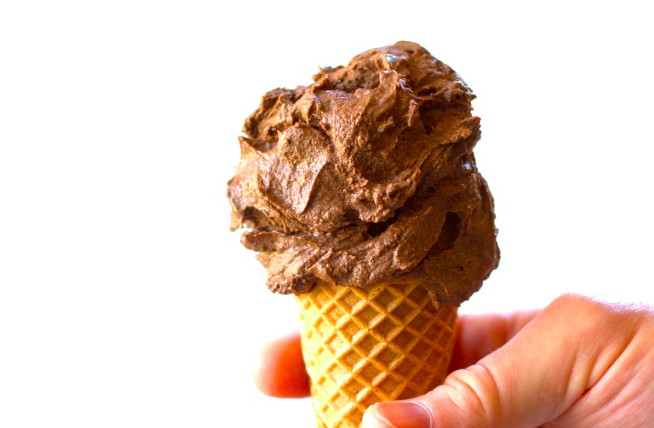 Get 53 Vegan Banana Ice Cream Recipes on Parade. This chocolate bliss is by Connoisseurus Veg. 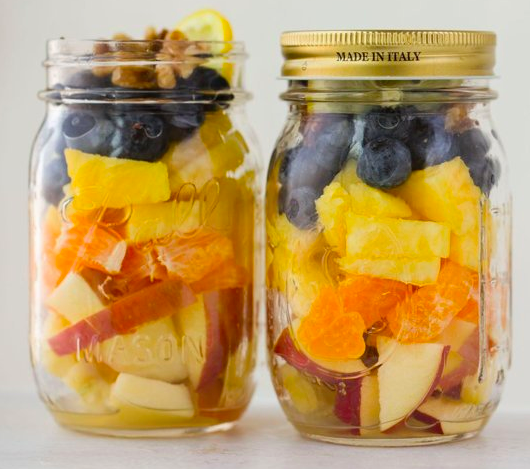 Make sure your week is filled with healthy snacks. 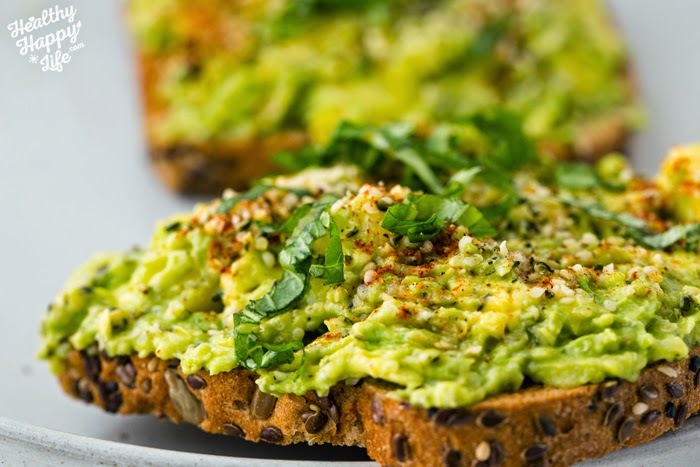 Today is a great day to prep for your whole week of snacking. Make a list of your faves, buy ingredients if needed, and do any kitchen prep to have those snacks on hand. This can really cut down on not-so-healthy-food-gobbling in times of hunger, anxiety, stress or boredom. - smoothies all day, every day. 13. Know When to Stop. Mondays and many stressful work days (any day of the week) can drag on and on and on if you let them. Lets face it, the work will NEVER be done on a Monday. So it is up to you to set a time to stop working and start winding down for the evening. Have a few things to look forward to. A favorite meal, a mindless TV show (Bachelorette Mondays, anyone?) or some Netflix or book reading time. Or spend some smile-inducing time with your family. But the only way you will have time for these feel-good activities is if you stop work at a reasonable hour. Because (with the exception of today's date deadlines), the work will still be there tomorrow. One of my favorite things to do is make a big batch of lemon ginger tea and sip a big warm mug after dinner. Right before bed, I usually add some chamomile tea to it too. Hot pumpkin mugs in fall are perfect. I also love these superfood lattes on The First Mess. 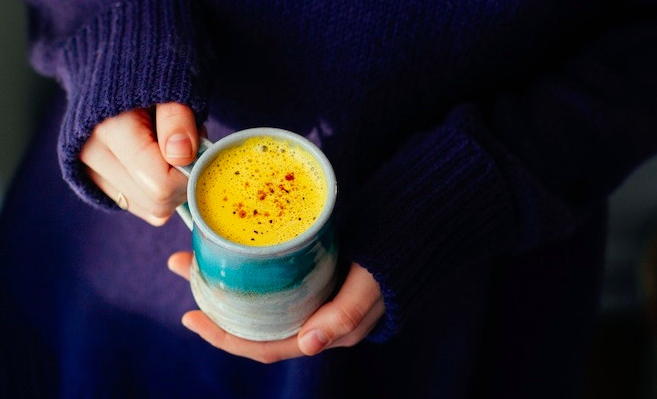 And this turmeric milk by Nutrition Stripped..
Bouncing off of #13, one way to help yourself distribute your weekly work load is to make a list on Monday of all your week-long work goals. This can help you realize that you have the whole week to get work done, and you do not have to pile all those expectations on your Monday - or any one day. I almost forgot about this round up I did for TheKitchn about healthy snacks: A Week of Healthy, Simple Snacks. Check out these recipes in that post (with photos).. Animals in the form of pets or cute animal videos on YouTube really help me divert my attention from the crazy, chaos of the human world. I love playing with my kittens for a few minutes, watching videos like this duck excited to see his owner after school, or even just browsing facebook posts by Jeff Corwin or Farm Sanctuary. 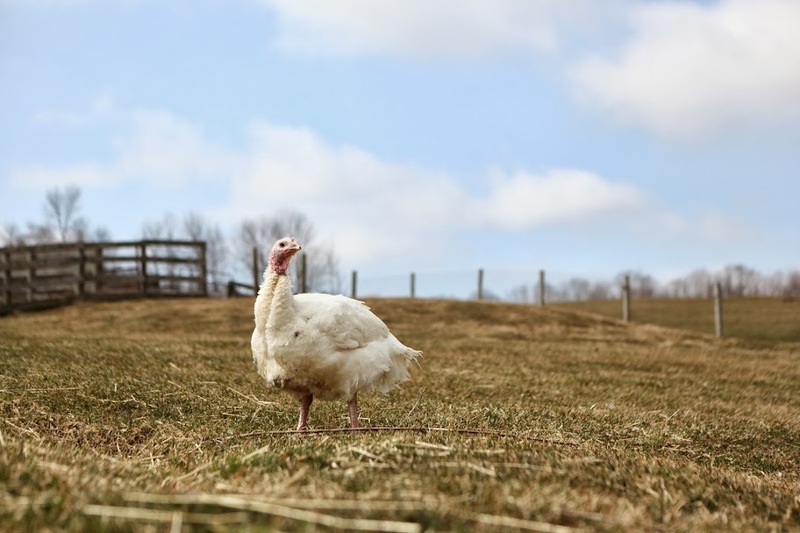 Cutie-pie turkey, photo via Farm Sanctuary..
17. Salt Water Cures All. I love that kinda-cheesy, viral quote that says, "The cure for anything is salt water: sweat, tears, or the sea." So. I really do take this to heart on my Mondays. If I am feeling simply tragic, I don't mind turning something sad on my Netflix and having a good weep, or if I am feeling anxious, sweating via a workout or a sauna is awesome. 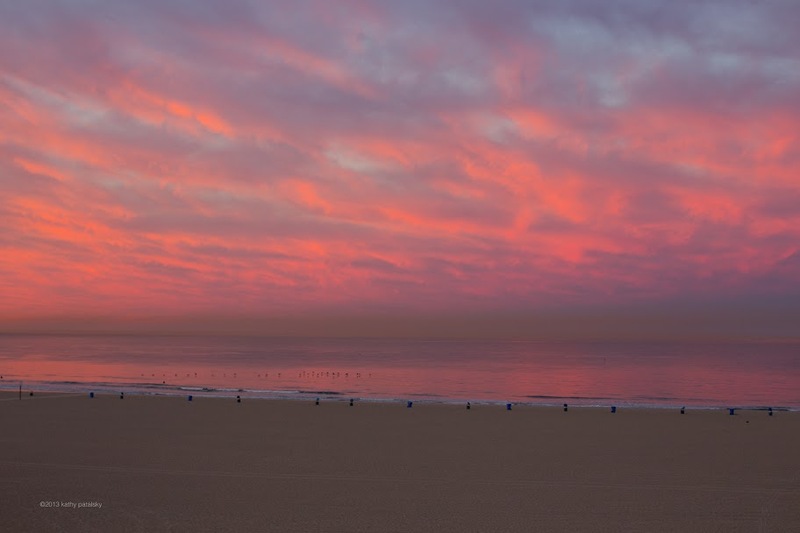 And if I have time, a dip in the ocean would be sublime, or even a beach-side stroll to inhale that salt air. And for all of you who do not have beachside access, try giving yourself a salt scrub before a bubble bath - or using mineral or epsom salts in your bath. Do it. Find a way to laugh. Big chuckles. I like Buzzfeed LOL, my husband's antics, kitty play sessions and their funny faces or anything in video form that makes me laugh. 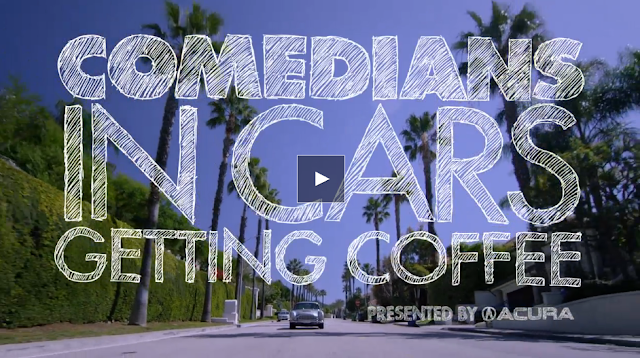 Just yesterday we watched a few of Seinfeld's Comedians in Cars Getting Coffee episodes. They are free! And so good. Shameless plug for healthy, plant-based foods for this last one. I feel really great about myself and my body feels great when I feed it right. One easy way to consume nutrients is via superfoods. Superfoods are "a nutrient-rich food considered to be especially beneficial for health and well-being." Basically, I consider "superfoods" to be healthy ingredients. There isn't anything magical about them, except for the fact that your body loves them and benefits from them in certain ways. Superfoods may be rich in antioxidants, protein, fiber, phytochemicals and more. - veggie burgers! any of my superfood-filled patties. 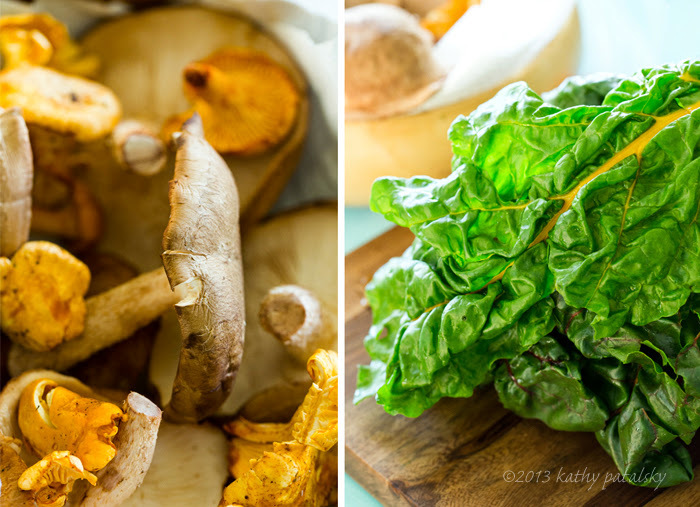 - check out the 'favorite ingredients' section of my book HHVK for details on all my favorite healthy ingredients. Also let me know what YOU do to perk up a Monday or any tough day at work!